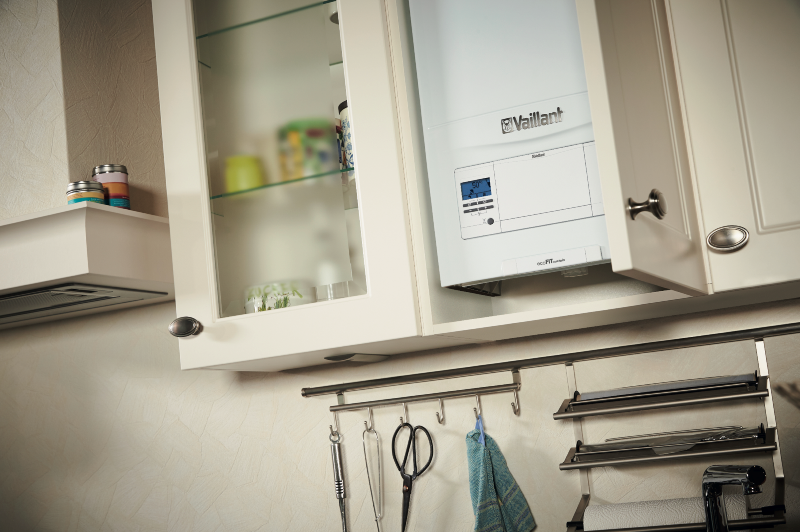 Vaillant has announced the redevelopment of its offering with a new ecoFIT sustain range of combi, system and open-vent boilers for new build housing. Vaillant Group, one of Europe’s leading heating technology manufacturers, has announced the redevelopment of its offering for specifiers with a new ecoFIT sustain range of combi, system and open-vent boilers for new build and social housing. The ecoFIT sustain range features a compact design and can fit in most kitchen cupboards. It further benefits from both rear and top flue options using existing Vaillant flue systems to ensure flexibility for siting. ecoFIT sustain is compatible with the full range of the Vaillant’s wired and wireless controls including the vSMART app-based control, which possesses both load and weather compensation. The vSMART intelligently learns from a home’s thermal behaviour, as well as outside weather conditions, and adjusts accordingly to ensure efficiency and comfort.